Design Technology | Socionext Inc.
As LSIs become more refined, the number of gates that can be mounted is increasing. In custom SoC development, the demand for chip designs with more than 100-million gates is increasing. It is also becoming important to fulfill the demands of more complicated designs such as reduction of power consumption. 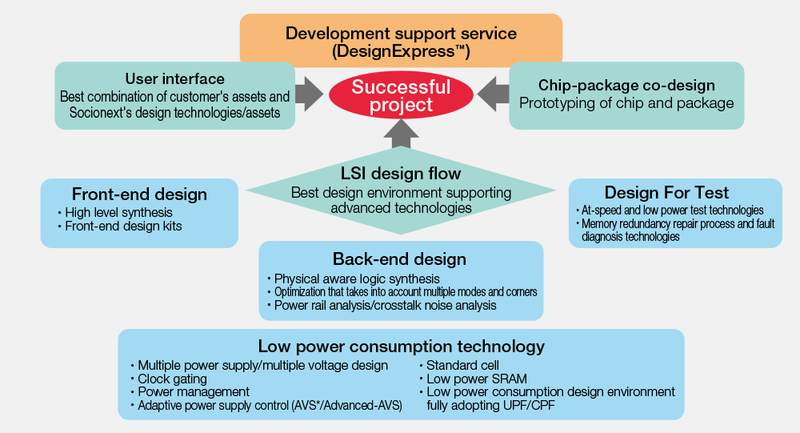 In these circumstances, Socionext supports customers in developing LSIs by providing the best design environment needed for each technology.